It's hard to believe 9-11-01 was 16 years ago. And yet, at the same time, it's also not hard to believe. Given all that has happened in our country in the past 6 months let alone the past 16 years, it does actually feel like a long time ago. I'm not entirely sure how I feel about this book, but I don't think it's the enlightening book the hype made it out to be. I think Vance made way too many generalizations based on his own personal experience, sprinkling his narrative with a few studies here and there to sound more credible, but I never really felt like I got a clear picture of the people he was speaking for. I got a clear picture of his own family, but I don't think he did a good job of transferring his personal experience to generalizing an entire group of people. Jack is not pleased with the narrator of this story who tells him to do things he would prefer not to like sell his cow, throw away the magic beans he got for the cow, and climb the beanstalk that will lead him to a giant's castle. 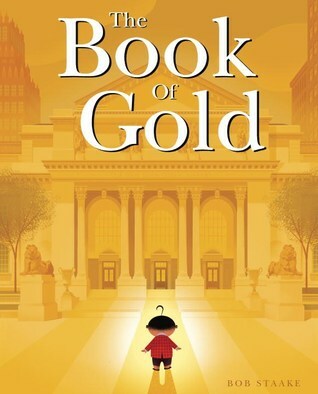 A beautiful story that takes a young boy a life of apathy to a lover of learning, all in the quest for the elusive Book of Gold. What he gets instead is a rich life full of knowledge and travel. Maurice isn't like other beasts: he eats kale and alfalfa and his roar is actually a beautiful, melodious high A. His parents send him to the Abominable Academy for Brutish Beasts to teach him to behave more uncivilized. Despite his less-than-straight-A student performance, Maurice eventually finds a way to show his usefulness at the Abominable Academy. Rupert loves wordless picture books. He thinks they're very artistic. So he sets out to create a wordless picture book, but his chatty friends are making that impossible. 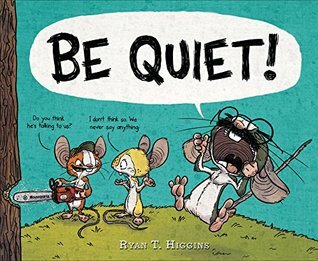 Another hilarious story by Ryan T. Higgins that is sure to produce raucous laughter during read alouds. I especially love the cameo from Mother Bruce. Oh my goodness. 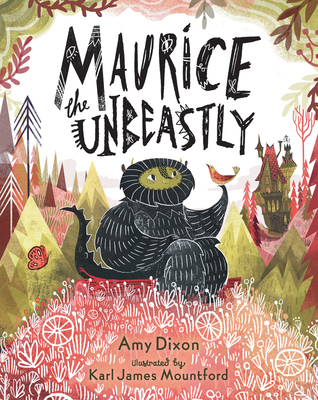 This is one of the most stunning literary picture books I've read in a long time. 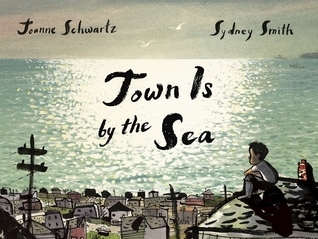 If you want to teach kids about effective ways to use repetition, to show contrast, and to include sensory details, share this book about a young boy who lives in Cape Brenton, Nova Scotia, a seaside mining town, and ponders the beauty of his town above ground, while also thinking about the darkness of the mine where his father works, which he also realizes is his lot in life when he gets older. This book is a beautiful celebration of cultures and a reminder to us all that our differences are just an opportunity to learn from each other. I paused listening to this for a couple months because it was difficult to listen to but I've decided I need to finish this. I'm a little over halfway through now. I am eager to read It's Not Jack and the Beanstalk. I loved The Book of Gold. There's a few other picture books that are new to me and sound interesting. Interesting that there's a few books featuring pigs as pets out or about to come out. 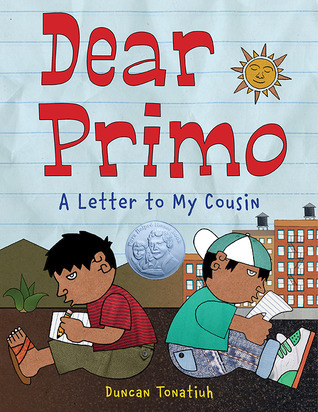 Dear Primo is a wonderful book! Now to look for the others. I was startled by Hillbilly Elegy, but it is clearly "his" story, not everyone's. I'm looking forward to It's Not Jack. . . and thanks for the others too. The Book of Gold sounds nice. I love Be Quiet--so funny! One I need to share with some like-minded readers because I did read it with my son and he said it was boring. WHAT?! Loved Be Quiet! That made such a fun read aloud last spring. Still a book that is almost always checked out! 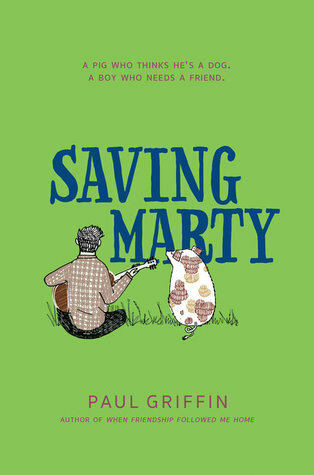 Can't wait for Saving Marty! 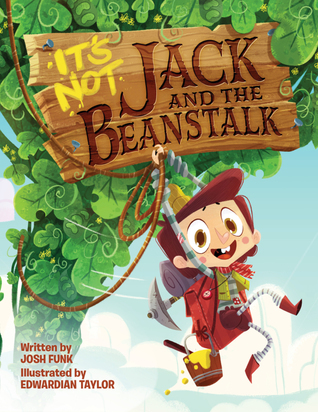 I'm excited to get my hands on It's Not Jack and the Beanstalk. The Book of Gold sounds very interesting. I can't wait to read Josh Funk's latest book! His books are hilarious and fractured fairy tales have always been very popular with my students! I adored Town is by the Sea. I'm eager to see Josh Funk's book. It looks super funny. I'll have to check out Town is by the Sea. 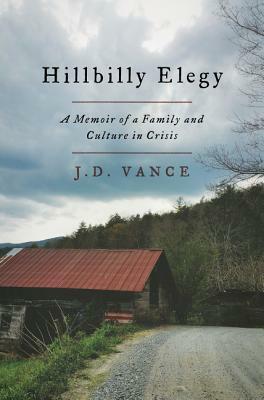 I read Hillbilly Elegy and related a lot--my family comes from the same region and then we moved away, so it was interesting to read a book with so many similarities to my own experience. But I do agree. I think it is dangerous to generalize an entire population based on one person's perspective. I could pick out Staake's books anywhere. I love the themes of the covers. 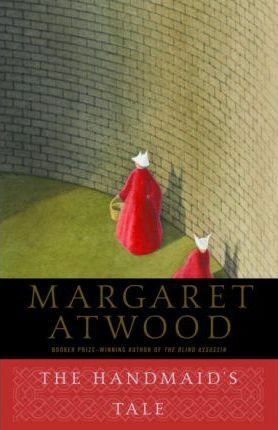 I am hoping to re-read The Handmaid's Tale soonest - and great to read your thoughts on Hillbilly Elegy - it's actually the first I'm hearing of it. I am so happy to see Town is by the Sea get more love. Sidney Smith's illustrations are stunning, and the text is compellingly gorgeous too. I love the cover of Book of Gold. I've been on the fence about HIllbilly Elegy, so I appreciated your comments here.